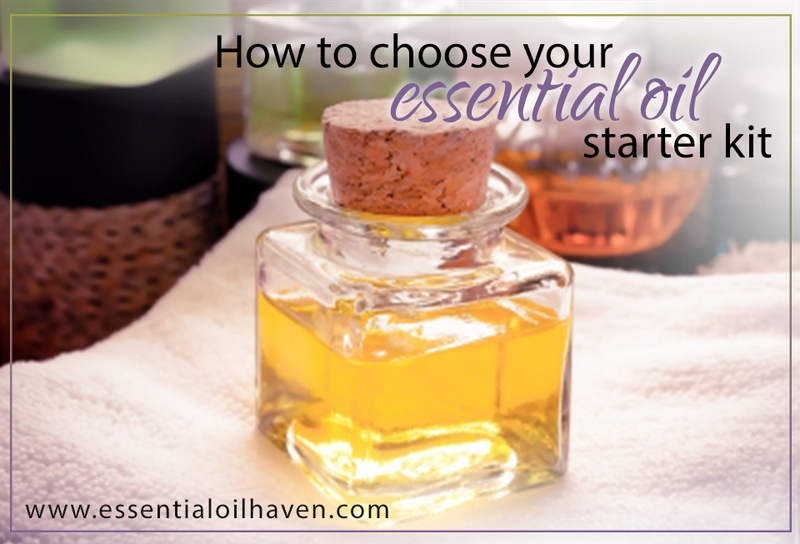 Choose Your Essential Oil Starter Kit - Which One is Best for You? If you’re like me, the question is: where do I get started to try more essential oils in my everyday life? Can I buy an easy aromatherapy kit or multi-use pack that’ll help me take the plunge? Which essential oil kit should you buy to get started? The first decision I had to make was on how I planned to use my essential oils. If you’re hoping to diffuse essential oils into the air around your home, you may want to look at a starter kit that includes the electronic diffuser. If you’re just looking for topical applications such as inhaling, using essential oils in your baths or other beauty products, or maybe some aromatherapy massage, then a starter kit with just the oils (and some nice oil blends) will do the trick just fine for you. If you’ve decided you’d prefer having a diffuser right away, jump right down to the options for starter kits with a diffuser section – or if you’re really brave, start an essential oil membership with one of these programs. I’m currently doing research on Young Living essential oils, dōTERRA oils, Plant Therapy, and Edens Garden essential oils and their respective starter kits and oil sets. Most aromatherapy kits usually include a few single oil fragrances along with some synergy blends. This is quite handy as blends (also known as synergies) have been mixed by professionals to achieve a specific effect – for example muscle relief or getting to sleep easier. Having essential oil blends as part of your starter kit can be a nice way to get started with oils as you might not like the scent of just one particular single oil on its own. Or maybe you do – and then those kits usually also include popular oils such as Lavender, Lemon and Peppermint. I have a nice chart and comparison on this below. 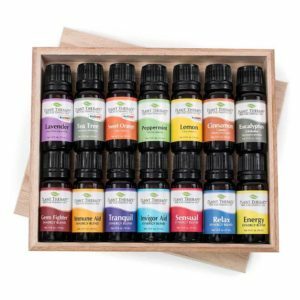 This essential oil starter kit is designed to address most areas of everyday natural well-being for you and your family. It includes a good variety of oils so that if you’re looking for an ailment for something “everyday”, like a cut or a scrape, or a headache, you already have the oils for that ready! If you’d like to learn more about Young Living as a brand, please find a full Young Living Essential Oils review here. Finding a dōTERRA essential oils starter kit with about 10 oils was a bit of a challenge. They do have their enrollment kit (more on this below) that has a great combination of oils to get started, but outside of this offer I had to piece together some of their other oils packages to make up a comparable shopping option to the Young Living Everyday Oils kit above. This comparable now includes 7 oils: 3 single oils of 5 ml each (from the Introductory Essentials Kit) and 4 synergy blend oils of 15 ml each. (from the doTerra Spa Kit). 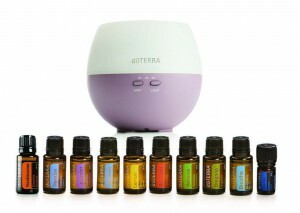 I picked the dōTERRA Spa kit to add to my start-up shopping list because it is just a simple selection of synergy blends to start using in your every day life. The Plant Therapy 7 & 7 set is an excellent starter kit for the whole family. 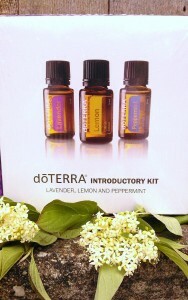 The 7 & 7 essential oil starter kit is perfect for anyone starting out. It includes common the staples that should be in any essential oil collection anyways (like Lavender, Tea Tree and Lemon), and it also includes popular synergies such as “Relax”, “Germ Fighter” or “Energy”. The beauty of this starter kit is that you have a few varieties of essential oils in there that are part of the Plant Therapy KidSafe® line. This means that in one shot, you can get an essential oil kit that the whole family can try, not just you! After you’ve tried these powerful and popular oils, please let us know how you liked them! Or if you prefer to shop direct, Plant Theapy’s website. The kit from Edens Garden includes a total of 12 essential oils of 10 ml each and seem to offer great value for your money. 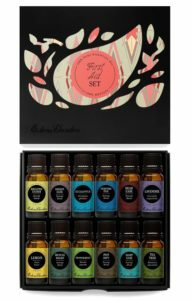 The Edens Garden kit includes 5 single oils and 7 blends. 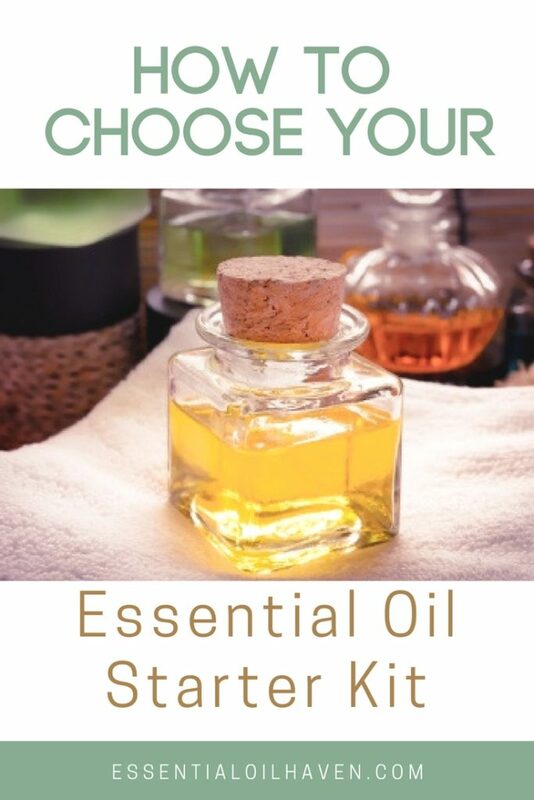 If you’re looking for an essential oils kit with a great variety of oils that you can use for different purposes in your daily life, this one here would definitely be my test winner. Or if you prefer to shop direct, Edens Garden’s website. 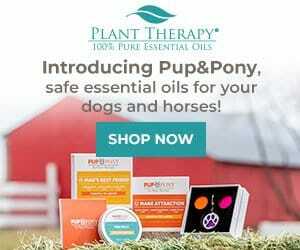 Plant Therapy is a very reputable essential oils company as you can see it listed on my Top 10 Essential Oil Brands. They not only offer starter kits without a diffuser, but also a few options to get the full bundle! This Plant Therapy starter kit with 10 oils is a really good package price, $139.99*! The AromaFuse difuser alone currently sells at $54.95*, so you’re getting a 10-pack of oils for less than $90 bucks. I can also tell you that the AromaFuse is a beautiful, solid diffuser that I have personally tested. It’s not flimsy or anything, so definitely a good investment. You can find more photos and a review here (scroll down on the page a bit). For the essential oils component, this starter set includes 10 x 10 ml each 100% pure and undiluted essential oils of: Lavender, Lemon, Peppermint, Frankincense Carteri, Tea Tree, Oregano, Germ Fighter, Rapid Relief, Respir Aid and DiGiZen. That’s 6 single oils and 4 blends. Ready-made essential oil blends are a nice item to have in your essential oils cabinet for when you need a quick recipe but don’t feel like blending essential oils yourself. They’re also called synergies – it’s the same thing. The Edens Garden Starter Kit includes 12 Oils and a Ceramic Diffuser. 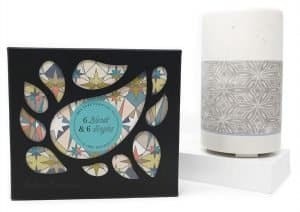 At Edens Garden, you can purchase their popular set of 6 singles & 6 blends, plus their signature Ceramic Diffuser, for currently $114.95. The diffuser is available in 4 beautiful and stylish designs: blue ombre (that’s the one I have and you can see the full review here), mauve ombre, stone gray (pictured) and taupe ombre. 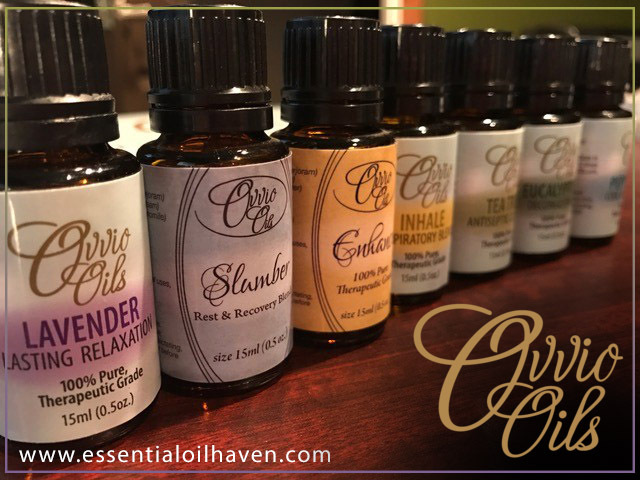 The essential oils included are: 10 ml each of Cinnamon Leaf, Eucalyptus, Lavender, Lemon, Peppermint, Sweet Orange (6 Singles), and Breathe Easier, Fighting Five, Hope, Purify, Stress Relief, and Sunshine Spice (6 Blends). If you purchase this kit, not only will you get 12 essential oils and a diffuser; this bundle also includes an informational insert titled “150 Ways to Use Essential Oils” that’s very handy to get started with! 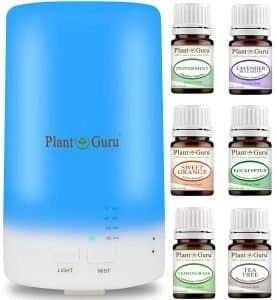 This Plant Guru Essential Oil Starter Kit includes a Small Diffuser and 6 Single Oils. This 3rd choice I’m presenting you here for an essential oils starter kit is definitely a budget option – but a good one so please don’t judge! While the Plant Guru essential oils brand didn’t make my list of top 10 brands, I have still tested and reviewed them here (and I like their quality!). The Plant Guru Starter Kit is really just if you’re wanting to try it out but not fully commit. 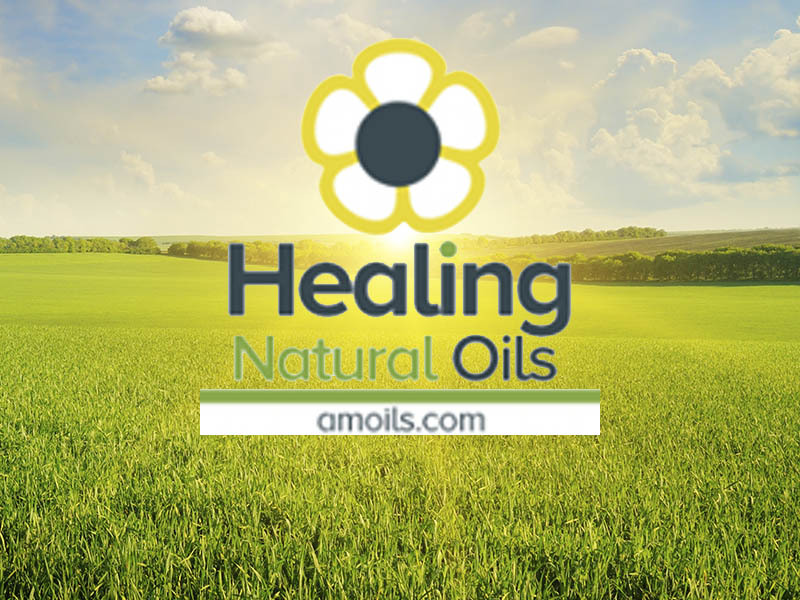 Oils included are 5 ml in size only (compared to the 10 ml bottle size of the kits listed above), but they are a very similar selection of oils: Lavender, Peppermint, Tea Tree, Orange, Eucalyptus and Lemongrass. I do love the addition of Lemongrass here as it’s one of my preferred oils and works fantastic for eliminating house odors and smells. The essential oil diffuser you’ll get with this kit is quite budget, too: it’s all plastic and quite small in size (70 ml). While the small size might be a bonus for some (and it is quite handy in smaller spaces such as a bathroom or kids bedroom), you may prefer one of the higher-quality diffusers that you’d get from the Plant Therapy or Edens Garden kits. Both those diffusers are beautiful quality and look nice in any home environment. That said, this Plant Guru kit will get you started, and you’ll be able to find out whether or not you’re into aromatherapy. 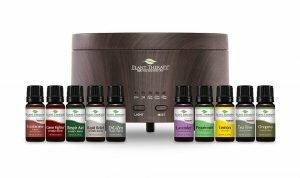 If you’d like my opinion on what the best essential oil starter kit is, I recommend you go with a high quality diffuser and reputable essential oils company. You don’t want your diffuser to break down after a few months of use, and you don’t want a poor essential oils quality experience, either. If you stick to my choices above, you’ll be good to go! If you’re looking for an essential oil starter kit that combines the most popular fragrances and also gives you an electronic essential oil diffuser, additional goodies and information at an unbeatable price, the only real deals available make you enrol in one of these companies’ membership program at the same time. I personally haven’t taken that pluge yet, so I’m fully unbiased. With membership programs, you do get some pretty cool benefits, but of course it’s that initial hurdle of paperwork, reading through agreements, and all that jazz rather than just having a simple, no-commitment starter kit available for purchase. 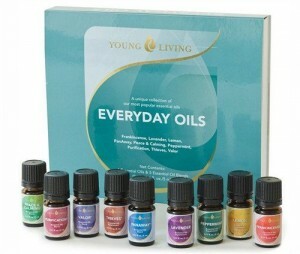 When signing up for a Young Living membership, you have a choice of a variety of starter kits. With this particular choice (the “Basic Plus”), you’ll get the Young Living Everyday Oils collection, which includes 10 essential oils of 5 ml each: 4 single oils and 6 synergy blends. As extras, you’ll get a 5 ml bottle of Stress Away, and an AromaGlide roller fitment. Additional samplers included in this essential oil starter kit include two Lavender Sample Packets, two Peppermint Sample Packets, two Peace & Calming Sample Packets, two Thieves Sample Packets, Sample Packet Business Cards and two NingXia Red 2-oz. samples. Your reading materials will include the Welcome to Young Living booklet, essential oils at a glance user’s guide, product guide, S.E.E.D. Sharing for Success booklet, distributor agreement and distributor resource guide. You can sign up for a Young Living membership here. Please note that I am not a member, associate or distributor for Young Living, so just go ahead and enroll without entering anything for the “I have been referred to by another member” part. At membership sign-up, you can choose from a variety of starter kits available to you. 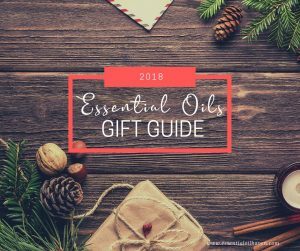 I picked this one here to review because it included a set of 10 oils plus an electronic essential oil diffuser – just like the Young Living starter kit. You’ll also get the Wellness Advocate Introductory Packet, which includes an introductory DVD, a getting started training DVD, dōTERRA Opportunity brochure, essential skincare product brochure, product guide, essential oil usage chart, Lifelong Wellness product brochure, lid label set, welcome letter, compensation and bonus information, and enrollment forms. You can sign up for a dōTERRA Membership Program here. Again, please note that I am not a dōTERRA member and you can just go ahead and register there on your own. Edens Garden oils do not offer a membership program, but they have a variety of awesome starter kits available. There is no Edens Garden membership program available. The sole focus of the Edens Garden company is on producing essential oils, synergy blends, beautiful essential oil gift sets and aromatherapy accessories. However, they do offer a membership points program where you can collect bonus points on each purchase through their website, which you can add up and use later as credits in your account. For more insight into this company, please also read my full Edens Garden essential oils review. You also do not need to become a recurring member to shop with Plant Therapy. Simply buy what you need, when you need it. Similar to Edens Garden, Plant Therapy also offers a rewards program for shopping with them, so you can collect points and save up towards some freebies. If you’d like to compare who has the better rewards program, I’ve done that here: Essential Oil Brand Rewards Programs Comparison. How you’d like to get started with essential oils is up to you now, whether you choose to just try the oils for starters, or plunge right in with a membership program and an electric diffuser unit. If you have any questions, always feel free to contact me or let me know in the comments below! * Prices as on Amazon.com or Suppliers Website at the time of writing and subject to change without notice.